Tactical Air Support, Inc. (TacAir) has selected a tandem Garmin integrated flight deck for its fleet of supersonic F-5 fighter aircraft. 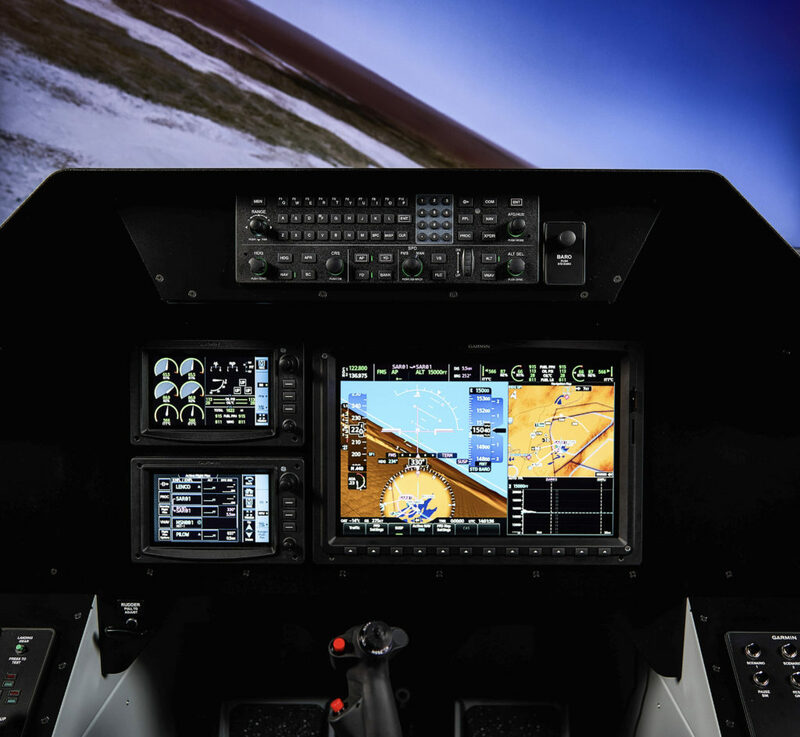 This configuration, which consists of a G3000 flight display and dual Garmin touchscreen controllers (GTCs), boasts an open architecture design that seamlessly integrates with typical mission equipment and hardware so pilots experience a single integrated cockpit system. Utilizing this rapidly deployable solution, the first flight of the Garmin-equipped F-5 is expected later this year. Garmin G3000 single, or tandem seating cockpit configuration. The NVG-compatible G3000 contains modern, state-of-the-art synthetic vision technology (SVT) that blends an “out-the-window” view of surroundings on the primary flight display, which is particularly helpful during nighttime operations or in terrain-prone environments. The G3000 also has worldwide communication, navigation, surveillance and air traffic management (CNS/ATM) capabilities. Additional features within the G3000 integrated flight deck on the F-5 include, Terrain Awareness and Warning System (TAWS), global Automatic Dependent Surveillance-Broadcast (ADS-B) traffic and weather, as well as a video input. For additional information regarding our defense, commercial or business aviation solutions, visit www.garmin.com/aviation.